Getting a lot of mixed information about the idea of auras and how they can influence your day to day life? Not surprisingly there’s a lot of debate regarding the existence of auras, and determining just how they factor into our overall well being can be confusing, to say the least. Many popular resources don’t explore the topic and concept of aura in-depth and, with less credible sources publishing conflicting information, it’s no wonder why there are many misconceptions about auras, aura reading, and aura cleansing. To clear up the confusion and set the record straight, here are some common aura myths that tend to confuse new readers and believers. An aura is never black but you might find a dark aura that looks muddy, so it looks brown. You might find different shades of colors mentioned above. For example, you can find dark, intense red, light, orange-tinged red, or pale, pinkish red in an aura as well. In meditative practice, it is widely believed that your aura is an accurate reflection of your physical, mental, emotional, spiritual, and astral being. Just as you cycle through feelings throughout the day, your aura cycles through changes as well. When you’re feeling stressed or angry, your aura will reflect that state of being – while happiness and joy produce a different projection. It’s believed that all of these changes will be reflected in your aura and it will change accordingly. It’s important to consider that, similar to our emotions, just because aura readings aren’t commonly consistent, it doesn’t mean they’re not reliable. The idea that aura readings and healing practice is expensive or complex is one of the most widely misunderstood concepts. Often times aura reading can be done with an aura photo online. 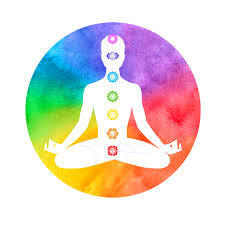 More commonly, aura healing techniques require a healthy diet, moderate exercise like yoga and tai chi, meditation, soothing baths, and relaxation. These simple interventions, for many, can restore the balance in both body and mind, which may have positive effects on your aura. When considering an aura reading, it’s important to choose a professional that has a proven track record of positive experience and is not prone to making some of the top aura reading mistakes. Before making an appointment, do a little research into reviews or ask friends and family for recommendations. Something as simple as reading reviews can provide you with the peace of mind that you’re putting your faith into someone with a solid reputation in the industry and knows how to read your aura photo.